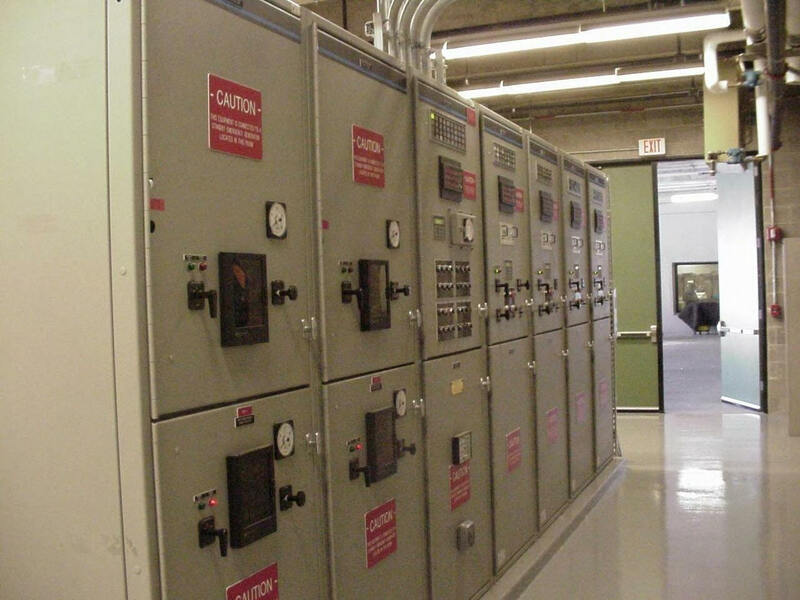 Custom Controls, Inc. has over 30 years of world wide experience in producing top quality standard and custom built Analog, Digital, or Touch-Screen Controlled Switchgear and Electrical Control Centers. They can provide you with Drastically Reduced Shipping Times, and very competitive pricing. CCI has extensive experience designing and building long lasting and dependable Generator Switchgear. Providing reliable Paralleling Switchgear for Mission Critical Facilities, Prime Power, Cogeneration, CHP, MicroGrid, Automatic Standby, Peak Shaving, and Distributed Generation systems. 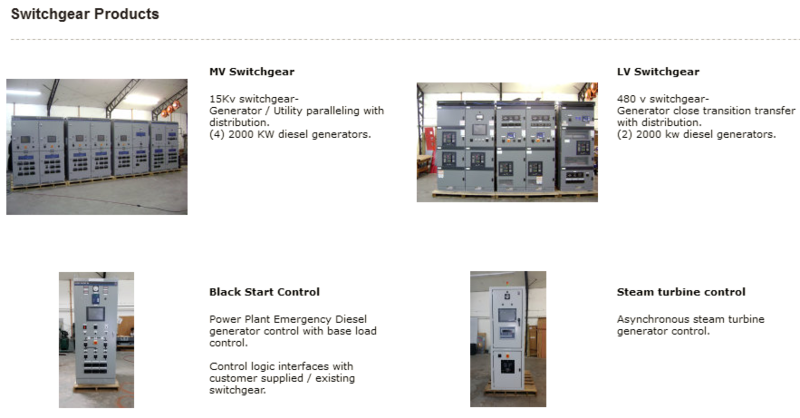 A complete line of low to medium voltage equipment that includes metal enclosed, metal clad, pad-mount, fusegear, metering, relay control panels, capacitor banks, surge arrestor cabinets, quick connection tap boxes, breaker boxes, and even arc resistant switchgear. Whether a single or multiple generator set application in either low or medium voltage applications we have a solution for you! With a total investment of this proportion, it is necessary to select a manufacture that has experience in power generation and control, and can provide the necessary quality and sophistication while maintaining RELIABILITY. Whether the system has the ability to parallel with a utility source or not, the need for sophisticated protective relays and metering must be known and considered. 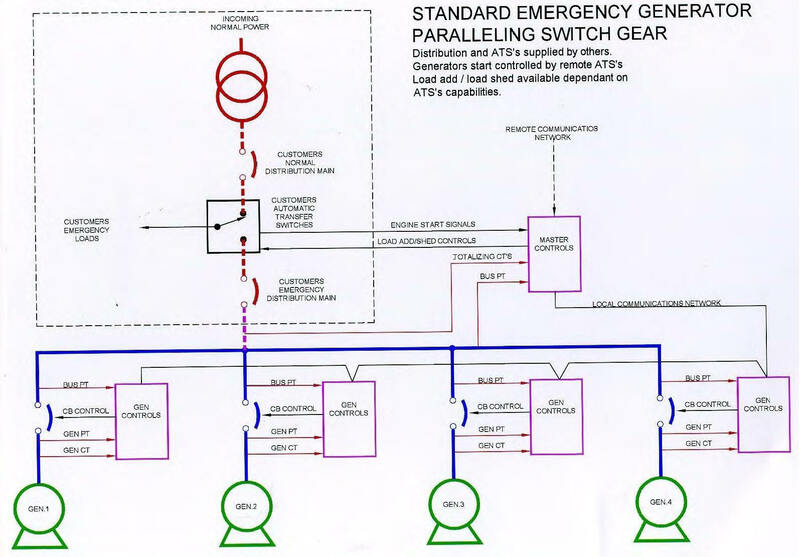 Protective systems provided with the Switchgear typically will include relaying functions such as over-voltage, under-voltage, generator differential, reverse power, under frequency, bus differential, and auxiliary protective equipment. The CCI design team deals with these situations on a daily basis and can provide guidance in choosing what your individual, or utilities requirements may be, and in meeting them. All products are tested for wiring accuracy and correct function to meet the specification. 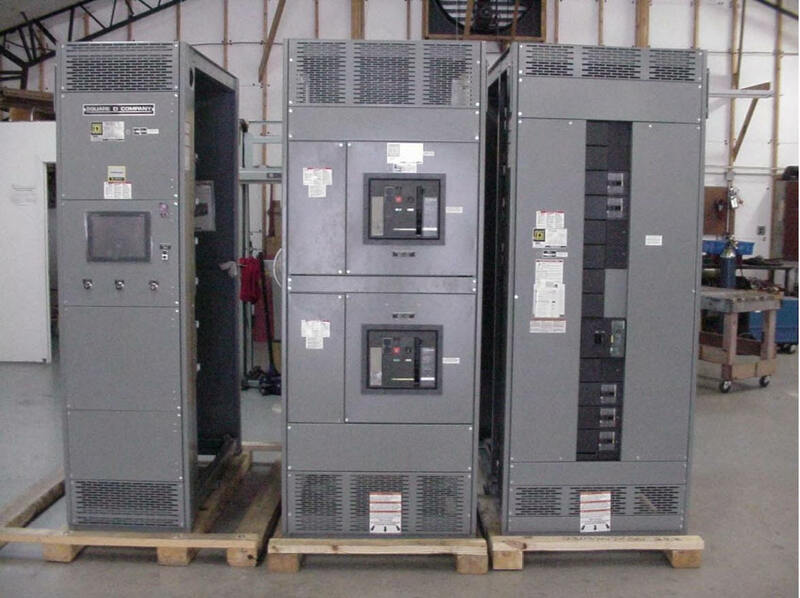 Current and Voltage are available for testing Switchgear through 5,000 Amperes, and 15,000 Volts. Transducers are checked with MV and MA simulators. An output simulator is constructed to signal various output signals. Switchgear jobs receive a high pot test for dielectric integrity. They also test to the requirements of ANSI C37.2, UL 891, UL 1558, UL 508, MIL-I-45208 (A), ABS, Llyods, and US Coast Guard, as required. Careful Engineering and Quality Concepts are The Basis of their Work. CCI has gained acceptance in a broad range of markets...Telecommunication, Utility, Industry, Government, Petrochemical, Hospital, Co-Generation, Marine, OEM, Military, and with Engine & Turbine Generator & compressor packagers worldwide. Proven designs with real world experience to anticipate the customers site specific needs. 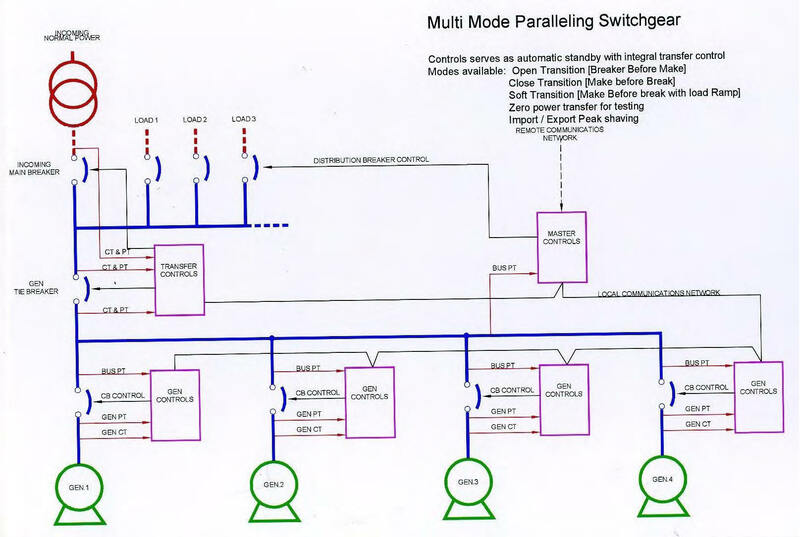 • Distributed fault tolerant PLC architecture. • Systems designed around proven components readily available. • No proprietary modules or black boxes. The foundation of any great company is rooted in service. • 24/7 support line available to all our valued customers. • Life time phone support on any equipment purchased. • Onsite startup assistance and emergency repair service. 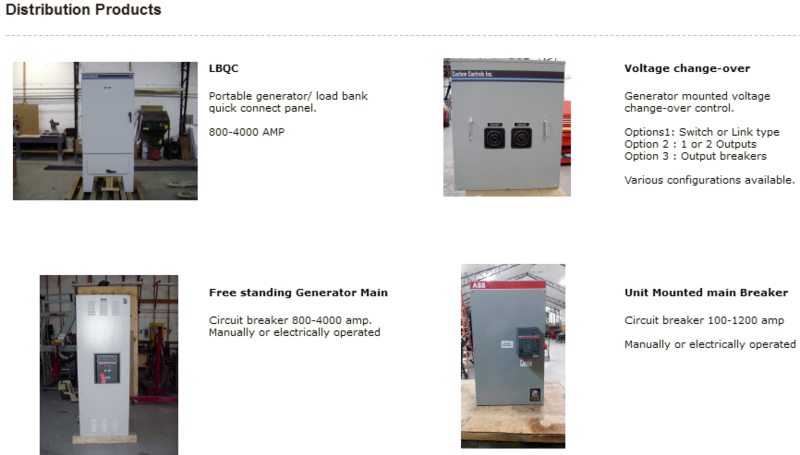 • Generator / Switchgear testing at our or your facility. 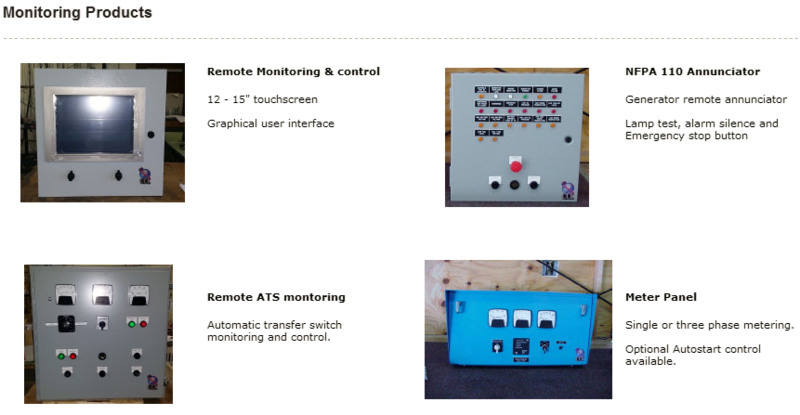 We offer a variety of Quick Connection Tap Boxes or Panels also known as Docking Stations which are intended for use as a temporary service connection point for bringing in a portable load bank for testing or a portable generator to augment or replace non-working stationary generator sets. They allow for a quick and easily hook up to the facilities main service panel. When normal utility power service is interrupted for a long period of time due to a utility system failure or a natural disaster this reduces the down time significantly and helps to insure proper connections are made to the facility. 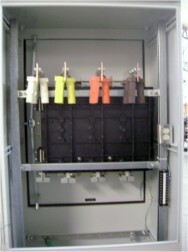 The Quick Connection Tap Boxes is typically a custom designed permanent connection panel which is configured for your specific application. It makes the facility generator ready in a safe and simple way. It is designed to allow the rapid and safe connection of a mobile generator or portable load bank to your facility's existing electrical system. 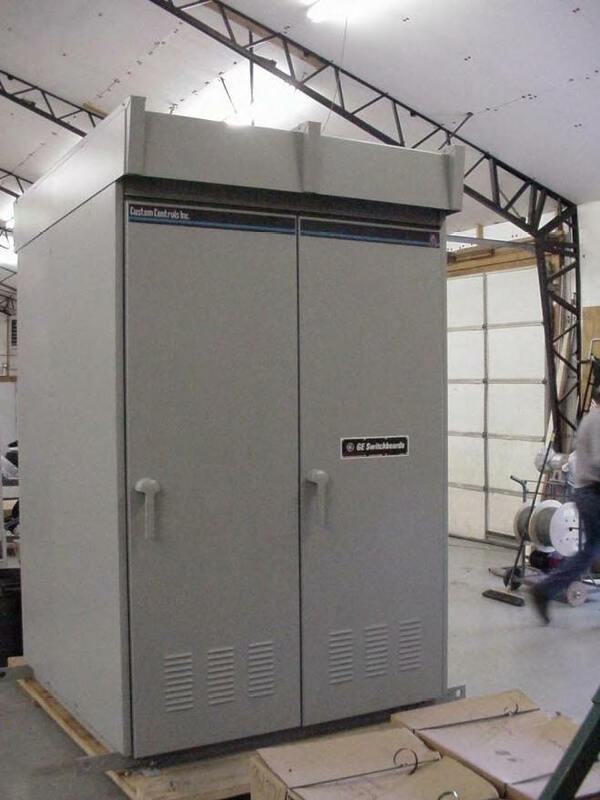 It can also be used to connect a load bank to your stationary generator. When supplied with a Manual Transfer Switch they are typically referred to as a Storm Switch. This powder coated ANSI 61 Gray sturdy enclosure is pad lockable and hinged with corrosion resistant hardware and provides a secure and reliable permanent entry point to your building for backup generators in the case of a power emergency. Safely contained within the enclosure are the terminations for each phase’s line and load, neutral and ground connections and a well laid out silver plated copper bus. The quick connect Crouse Hinds Cam-Lok or other cam style single pole plug receptacles are distinguished by their distinctive colors to minimize the chance of cable connection error and are readily accessible. Typical Sizes range from 100 Amp to 5000 Amps. The basic units are to UL with area for Proper Bending Radius of the Cable to meet the UL and NEMA requirements and can be Entrance Rated if supplied with disconnects. · Kirk Key Interlocking prevents inadvertent paralleling of two sources. A - Kirk Key integration into circuit breaker and bottom flip door. 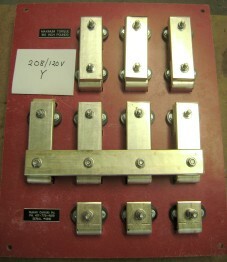 B - Shipping loose of matching lock set for installation on customer’s building side switchboard. · Phase Rotation Monitoring: Insures the mobile generator set phase rotation matches that of facility. A - Provides a visual assurance of correct phasing. 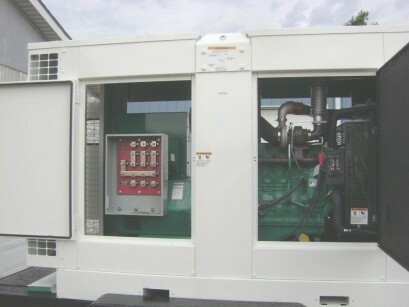 Insures portable genset phase rotation matches facility. B - Prevents the circuit breaker from being closed if the phase rotation is not correct.